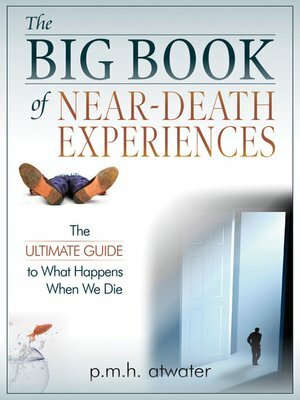 The Big Book of Near-Death Experiences encompasses every aspect of the near-death phenomenon: the experience, aftereffects, and implications. P.M.H. Atwater's simple, appealing format includes drawings and cartoons by Spirit Painter and Chuck Vadun and sidebars from experts. She investigates and reports on the power of changed lives, the reality of deceased who come back, visitors at death's edge, out-of-body travel, the expansion of normal faculties, the awesome presence of Deity and the importance of spirituality. The Big Book of Near-Death Experiences examines near-death studies from the "Moody Miracle" early days, through the myths of "the light at the end of the tunnel" and "the religion of the resuscitated," to 2007. After 32 years of work with clinical prospective studies in several countries, the reality of the near-death experience has been verified, confirming its importance in the study of consciousness. P. M. H. Atwater is an international authority on near-death states as well as a near-death experiencer who "died" three times. She is the author of 20 books and lives in Charlottesville, Va.